Self-Care Tip #188 – Don’t avoid the obvious to be a friend to yourself. Have you ever watched someone make a bad decision? Probably, if you’ve watched anyone. We all do make bad choices. But a really bad one? One that when you hear it going down, you can almost feel the hair on your neck point south. We ask ourselves why no one stops them. We perhaps have tried to reason, to force, to pull favors to buy them away from this choice. If you do this, …. Maybe weeping some. Maybe they’ve done this same variety of bad choice before; many times perhaps. The problem is bigger than our own selves of course. The people in our wake, being tumbled about by our bad choices, these people suffer. It’s irresponsible. Sure. Those tumbled people are responsible for there own self-care too, but they aren’t responsible to accept us back with open arms when we drive our boat over them. We don’t connect that the reason they are back there bobbing in the water is in part because we don’t have insight into our behavior. 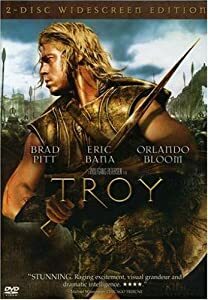 Brad Pitt played Achilles in the movie Troy, Directed by Wolfgang Petersen. If you remember, he died in the end. Movie critic, N.S. Gill described what killed him well. Achilles is moved by love of glory and knows that he will die young if he pursues it, but his reputation is all that counts because all he is a warrior and the best one, at that. Self-care includes stopping the kill that our own “Achilles heel” is making on us; i.e. that (or those) big thing(s) that everyone else but us can see that in the end will kill us. Carl Jung describes the inferior function of someone’s personality type as their Achilles’ heel. Myers called this the shadow. It is the part of us that has the least amount of conscious awareness (otherwise known as insight.) This is the part of our temperament that we are not comfortable with. Although it may strengthen with maturity, it can be the death of us if we don’t take it seriously. We will always have it, true. But with deliberate effort and with working no harder than what self-care has already proven to be (the kind of bleeding effort that makes us plead “Mercy!”) …then we can grow. Then perhaps after performing the hardest work of our life, we may be fortunate enough to die from another reason in the end. 🙂 We also may be fortunate enough to have people in our lives who feel safe with us. People who feel they can trust that we will treat the precious connection between “Me and Thee” responsibly by taking care of ourselves. Questions: How has your Achilles been influencing your life? How have you helped yourself to stop avoiding “the obvious?” Please tell me your story. This entry was posted in Abuse, Connections, Coping skills, Counsel, Presence, self care, Suffering and tagged Achilles, Achilles' heel, behavioral, behavioral health, behavioral illness, Brad Pitt, carl jung, Chariton, connections, Mental Health, mental illness, Myers-Briggs, Myers-Briggs Type Indicator, Newfoundland and Labrador, Personality type, positive psychology, psychiatry, Psychology, self care, Self-Help, Social Sciences, temperament, Troy, Wolfgang Petersen. Bookmark the permalink. ← Hear, Be Heard, Believe and Speak In Your Language. we r proud of u too kevin. thank u for sharing this part of your courageous story. keep on mr sensitive! I have had to end a friendship years ago. A friend, who I loved dearly, who did drugs for several years and made bad decisions I felt in part of her drug use. Later after becoming mothers, she would tell me story after story of self destruction and obvious bad choices for her child as well. One story that was complete neglect of her new child- now that a child was involved as well, I couldn’t take another day supporting and trying to help her out of her misery. For one of the first times in my life, out of my own self care, I had to end it- I said, I love you dearly, always will but can’t continue on this path with you. Just couldn’t watch her continue to make such awful choices and felt a part of them. It’s tough when you see friends or people you care about and you wonder when it is obvious to you that they are awful choices and still, they continue…it must be a form of self destruction. self-destruction in contrast to self-care. nicely put first-timer. thank u sooo much for reading and commenting. can’t wait to hear more. keep on. I think the term “Achilles Heel” is mis applied. Yes it is a weak spot and therefore applicable and so the metaphor makes sense in present discussion. But in the literary or philosophical sense of the Greek epic the heel is the portal to death through which he must pass to satisfy the requirement that as a warrior of such acclaim he must die young and by the sword which becomes an arrow instead in the story. It is also an unjust death because he does not die facing an enemy face to face and is dispatched by a missile from afar. Referencing the Achilles Heel as axis of discussion I suppose it is a sensible characterization of our self destruct nature. When I gain insight I see that this arrow is not an external attack but a self inflicted wound. I now understand my psychological Achilles Heel(I must be a centipede because to have so many heels) not as a particular finite entity but a whole pattern of related behaviors. As I remain in recovery for alcoholism there does not appear any arrows reaching my heels. That is because if I can disarm my self destruct dynamic and activate my self care and survival dynamic all my “heels” will no longer be attacked. As I proof read I laugh at myself because I see I have couched my language in terms of military think. However, we are speaking of a Trojan war requiring our engagement. As usual I findmyself w gratitude for u, sharing these beautiful Insights – attack is from ourselves vs from outside ourselves. Thank u so much. Sometimes bad habits wreak havoc on one’s health, and when that happens it’s not the time to say I told you so, but to open your arms with love, accept the situation and support the person’s recovery. just reading that made me feel warm and loved. thanks for saying it. we all needed your response. reminds me of when my kids are arguing and the volume is high and the lines of reason are so intertwined that no one is “right” and i say louder than they are – “everyone quite.” Ah. that’s better. then start over. suzicate big virtual hugs coming your way. and some more. thank u much for sharing and connecting w us. ok. i admit. i had to look it up. Worrying…about the dumbest things…or not so dumb. Actually, wrote (at the request of my psychologist) a paper about seeing my grandchild for the first time – before she was born, because I was so afraid something might be wrong with her. It was a good exercise and maybe helped the stop the worrying a bit. She was, of course, perfect 🙂 , and there was never a reason to be concerned but, there you go – worry is my Achilles heel and, if it isn’t driving me crazy, it is my family…often. Maybe I need to write more “papers”.